We live in an age of ‘stuff’. And stuff needs a name. But given the proliferation of largely commoditised stuff that inhabits our lives, be it tomato sauce, jeans or bar tape, it’s seen an equal proliferation in brands and sub-brands – and cycling is certainly not immune. Surnames alone simply don’t cut it any more. It would be far too confusing for consumers if twenty products all carried the same name. Let’s be brutally honest here too; with a few notable exceptions, surnames are usually nowhere near esoteric, proprietary or memorable enough for Marketing Departments to justify the exorbitant prices they crave. Why do so many actors and rock stars use stage names, after all? Of course, two decades in advertising creative departments has taught me coming up with catchy monikers isn’t anywhere near as simple as it sounds. You only need to look at the public relations fiasco between Specialized and Cafe Roubaix last December to realise registered trademarks can be a corrugated minefield at the best of times, far worse than anything on show at the Hell of the North or Flanders this European spring. This got me thinking. Whilst their names may be ubiquitous in suburban pelotons nowadays, how did many of the brands we use and know come to be called what they are? I gather there isn’t a Japanese man called Ultegra, for example. Nor can I imagine a French wheel designer going by the name of Mavic or Ksyrium. Opening its doors nearly 125 years ago and based close to the Swiss border in Annecy, the name behind the multi-million dollar French bicycle parts manufacturer is actually an acronym. It comes from “Manufacture d’Articles Velocopediques Idoux et Chanel.” Charles Idoux and Lucien Chanel were the two partners who founded the business in the late 19th Century. Today Mavic is owned by Amer Sports, a Finnish company which also owns the Salomon, Atomic and Wilson sports equipment businesses. The GPS-based application that touches so many of our lives every morning may be based in San Francisco. But its name has origins in a very different corner of the globe: Scandinavia. In particular, it comes from the Swedish word “sträva” which means “to strive.” Michael Horvath, who co-founded the Californian business in 2009 with Mark Gainey (the two also rowed together at Harvard), spent his childhood in Sweden, hence the connection. You won’t be surprised to know “Giro” means “tour” in Italian. Yet despite being an Italian word, the bicycle equipment manufacturer is very much American, headquartered in Santa Cruz, California. The company was founded in 1985 by Jim Gentes and since 2005 has been part of Easton-Bell Sports, overseen by parent company Fenway Partners, a private equity business based in New York. Which, when you think about it, does have a rather large and influential Italian community I guess. One of the more interesting ones, SRAM doesn’t actually mean anything despite being a $500 million a year global business and one of the most recognisable names in modern cycling. SRAM is simply an acronym concocted back in 1987 using letters taken from the first names of its three founders: attorney Scott King, CEO Stan Day whose middle name is Ray (“SSAM” clearly didn’t appeal) and designer Sam Patterson. Curiously, albeit largely irrelevantly, a similar strategy was employed to name one of Australia’s most celebrated race horses, three-time Melbourne Cup winner Makybe Diva. Imagine if Orica-GreenEDGE was actually called ‘Canberra’. Or Team Sky was called ‘Team London’. Well, you might be interested to know the famous blue and yellow WorldTour team from Kazakhstan is named after, you guessed it, the capital city of Kazakhstan. Astana has been the Kazakh capital since 1997 and is the country’s second largest city with a population 780,000. In Kazakh the word literally means Capital. When Kazakhstan first became independent in 1991 the city was actually called Akmola. Astana has been used since 1998. In the early days of cycling, the action-packed track event featuring pairs of riders flinging each other around the boards was most heavily associated with New York’s legendary Madison Square Garden. So that’s what they called it. Australia’s Scott McGrory and Brett Aitken famously won gold in the inaugural Olympic madison at the Sydney 2000 Games. It was Australia’s first track cycling gold medal since Los Angeles in 1984. The madison is still a much-loved part of the Olympic and World Championship track programs today, typically held on the final night of competition. In the early 1900s an American chap by the name of William G. Allen patented a method of cold-forming screw heads around a hexagonal die and promoted it via his Connecticut business, the Allen Manufacturing Company. It seems widely agreed he wasn’t the first to come up with the idea, but he was first to market, hence his enduring fame. Today the term Allen Key is a registered trademark owned by the Apex Tool Group. 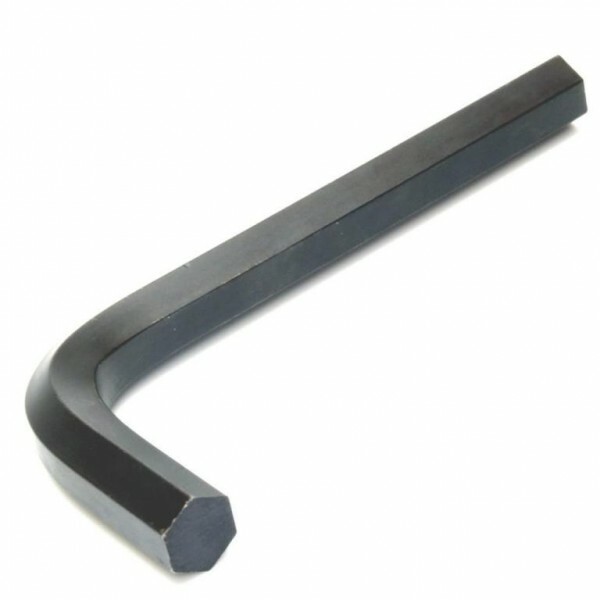 As large corporations tend to do, they’re keen to stop generic use of the term, instead encouraging the standard expression of “hex key.” Good luck with that one guys. We cyclists are creatures of habit.